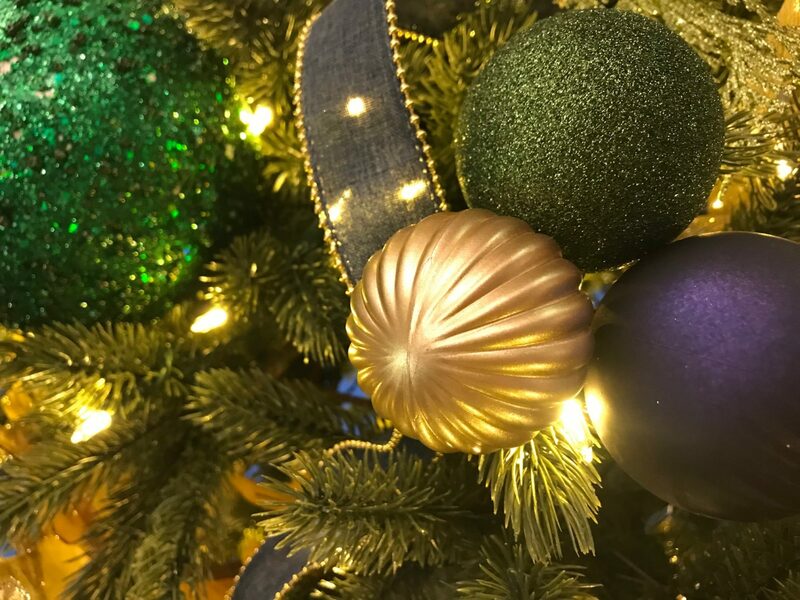 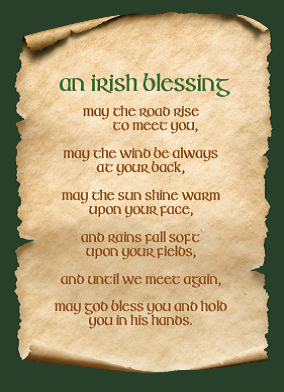 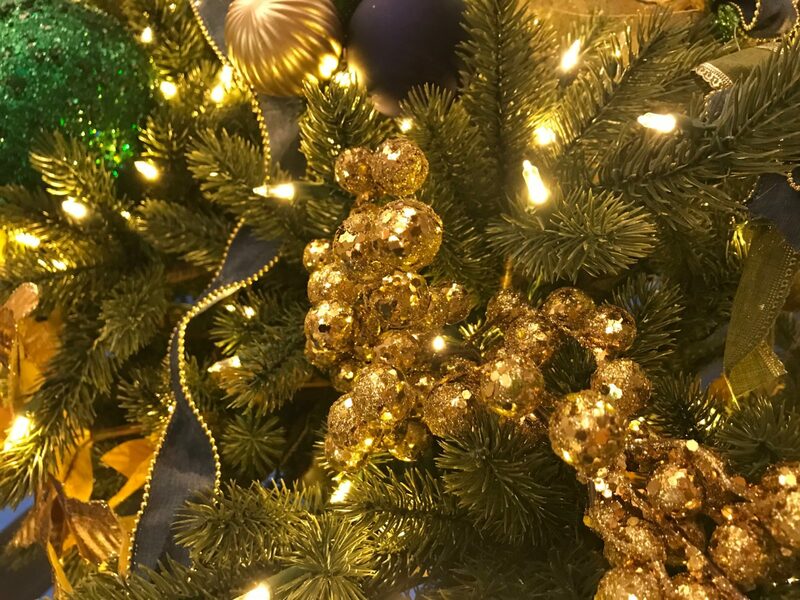 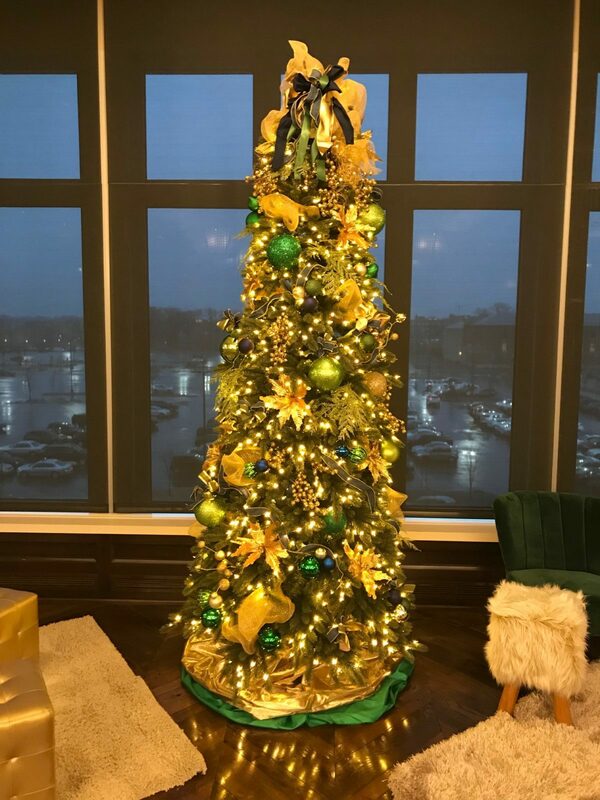 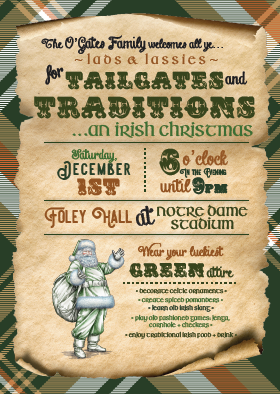 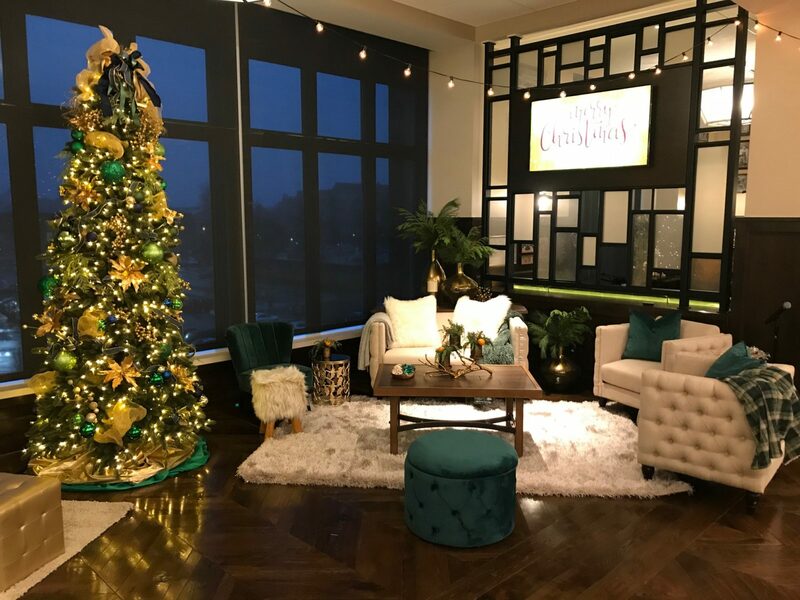 Calling all ye lads & lassies… for a Tailgates and Traditions Irish Christmas Party! 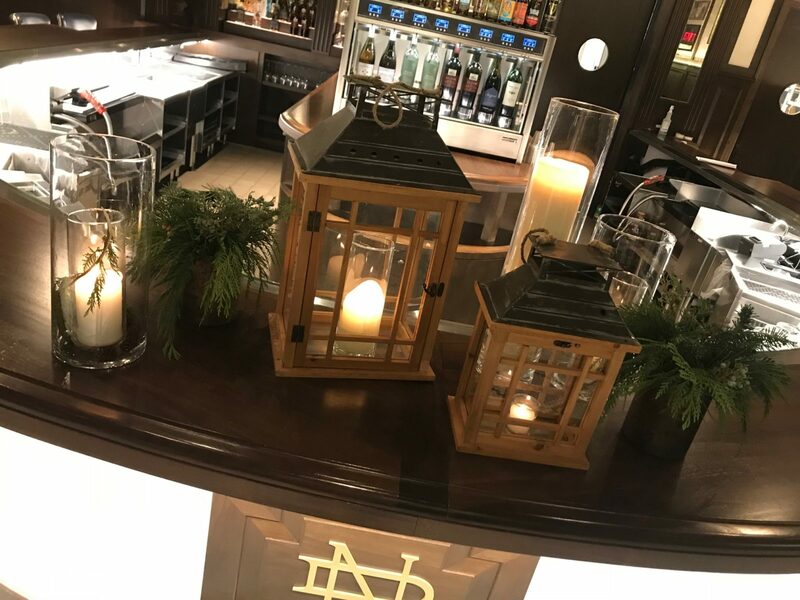 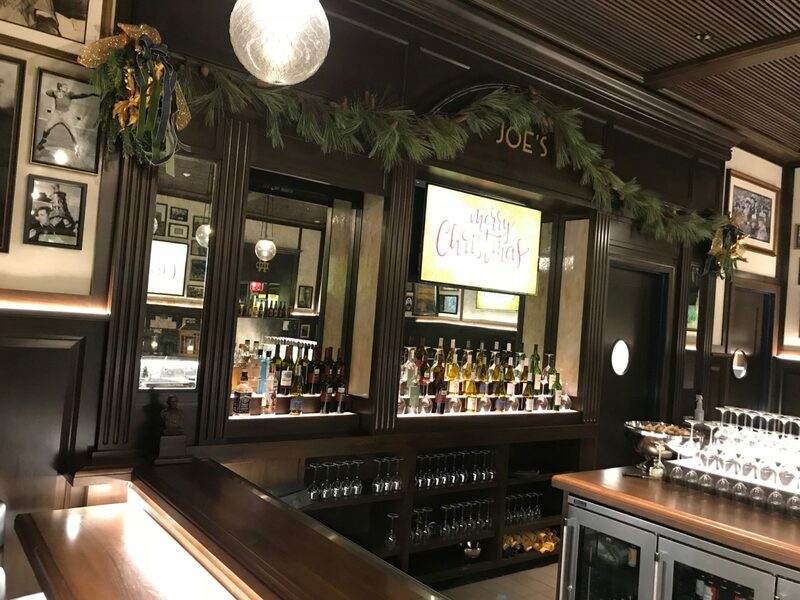 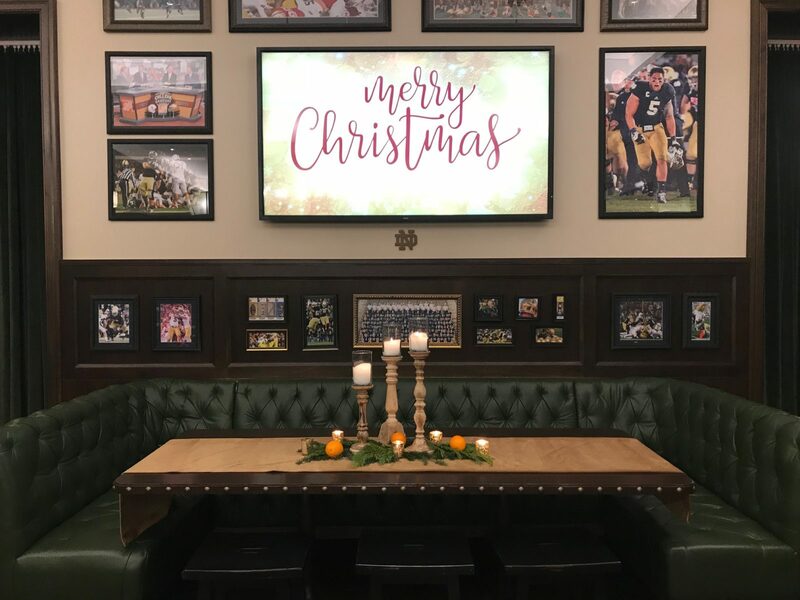 How fun it was to add an elegant Christmas vibe to an already swanky venue at Foley’s (formerly South Club) at Notre Dame. 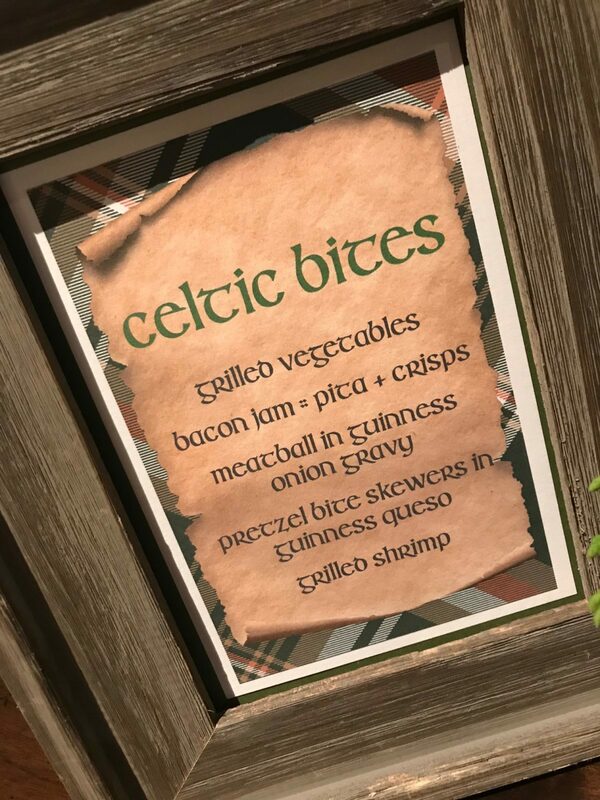 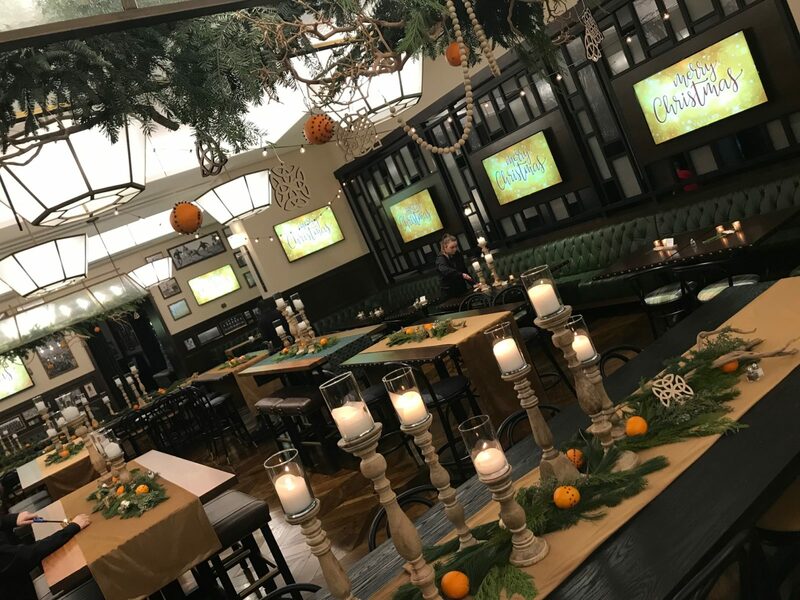 Our clients Joel and Angie Gates are all about the experience for their annual holiday ceilidh (that’s Gaelic for “party”). 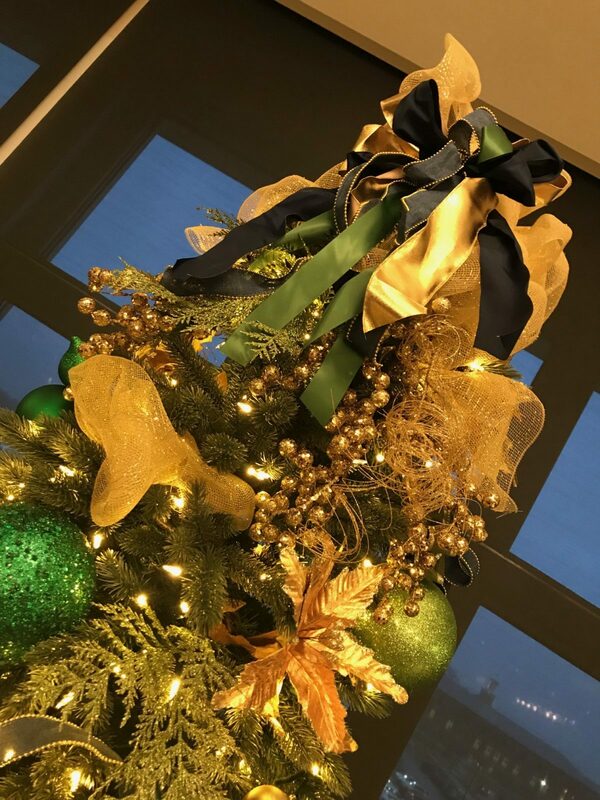 For this design, we knew we needed lots of hunter green and gold with a touch of orange. 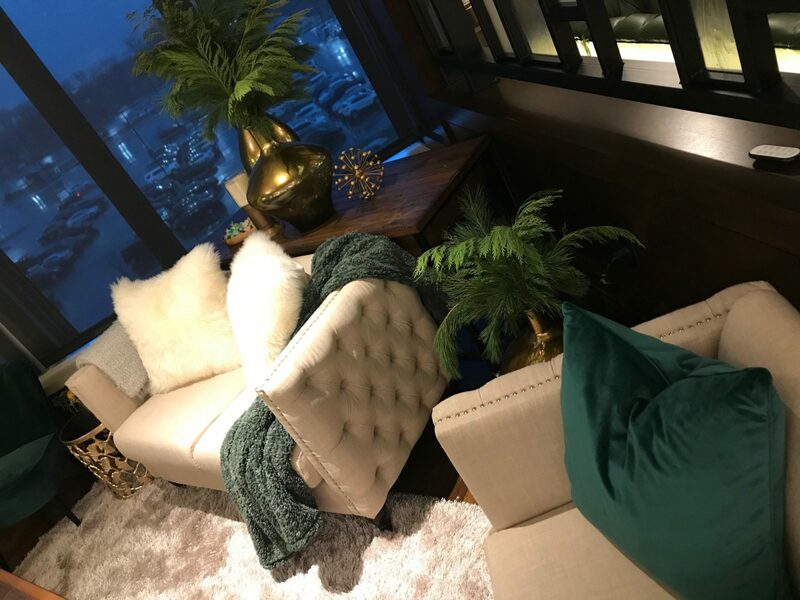 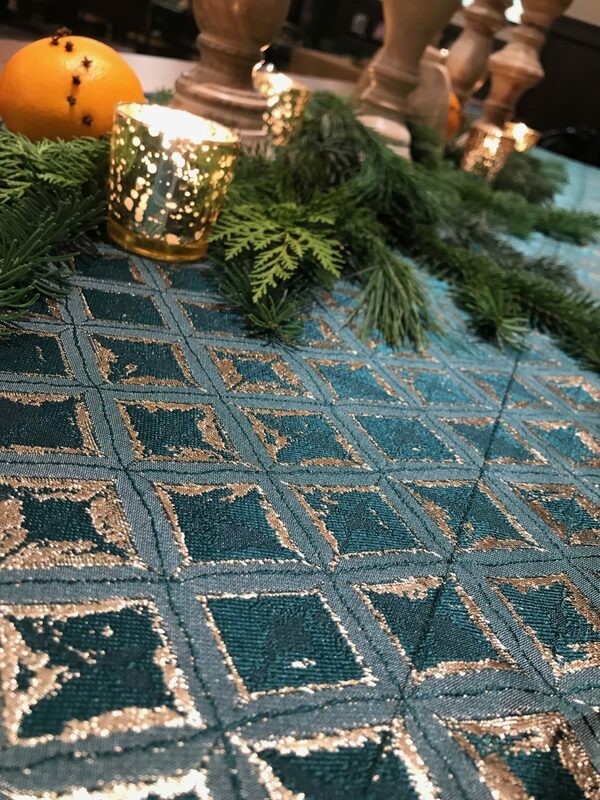 We hand selected velvet linens alongside a rich, textured spruce damask. 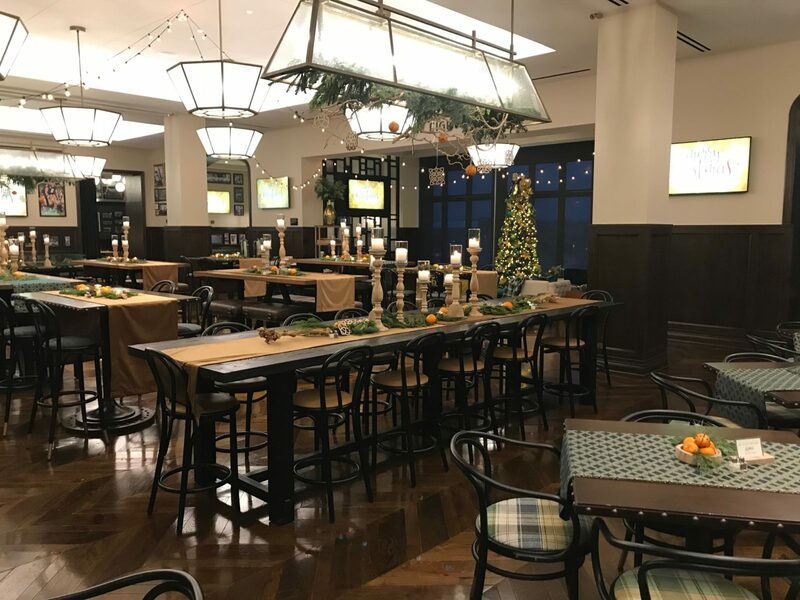 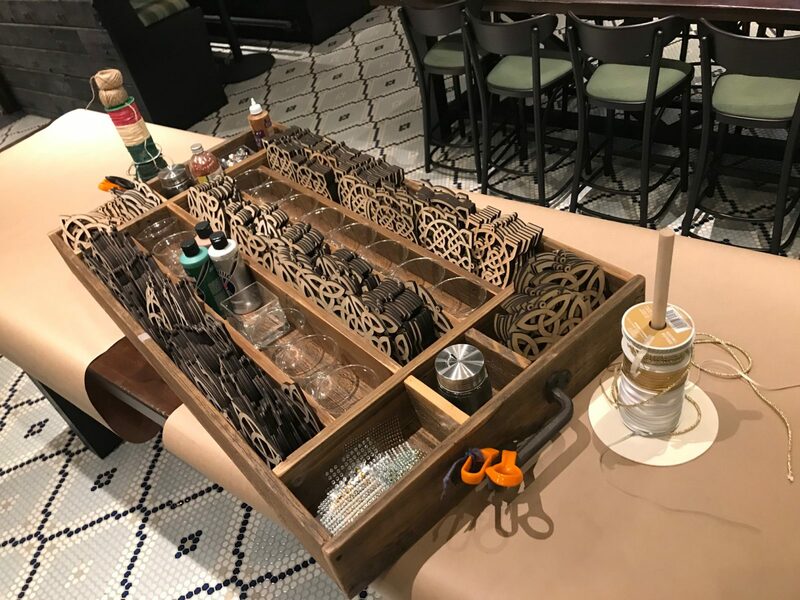 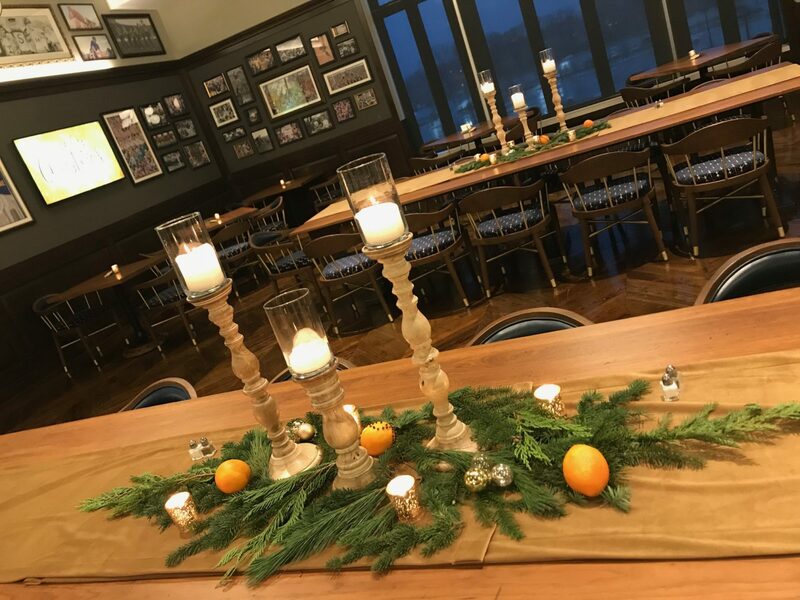 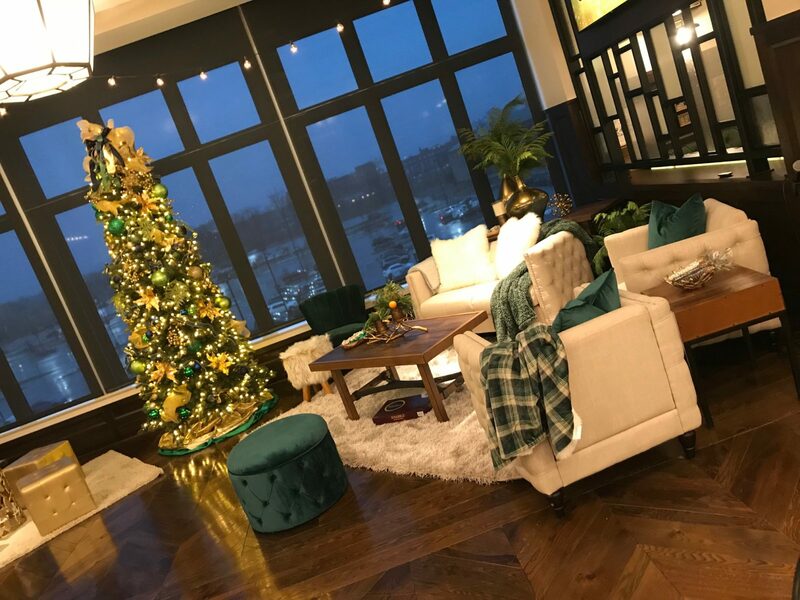 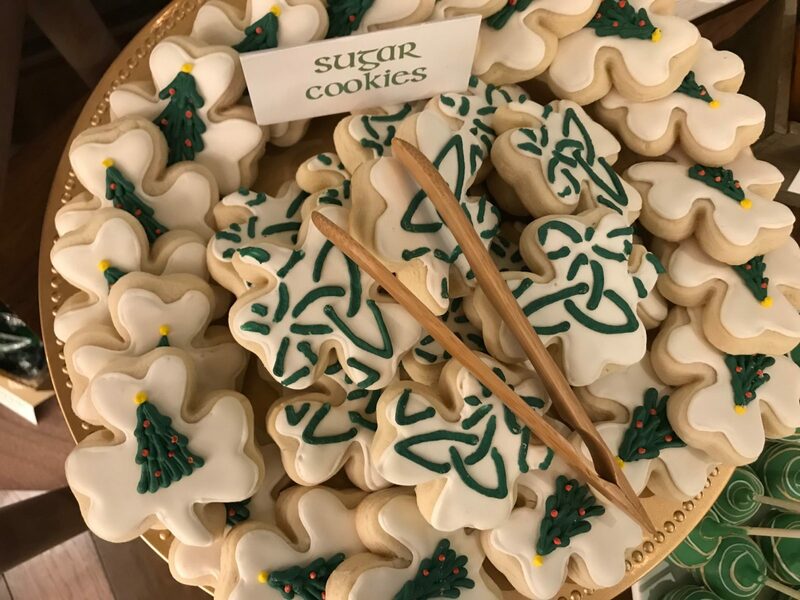 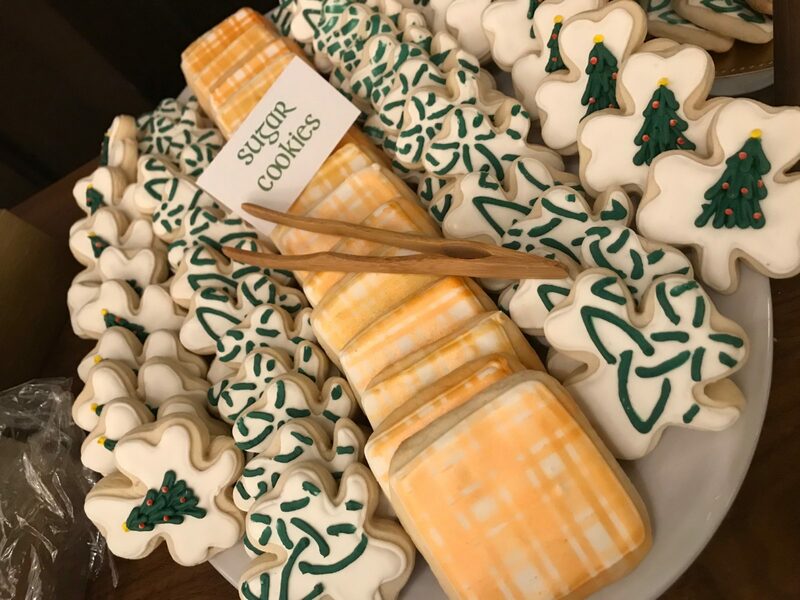 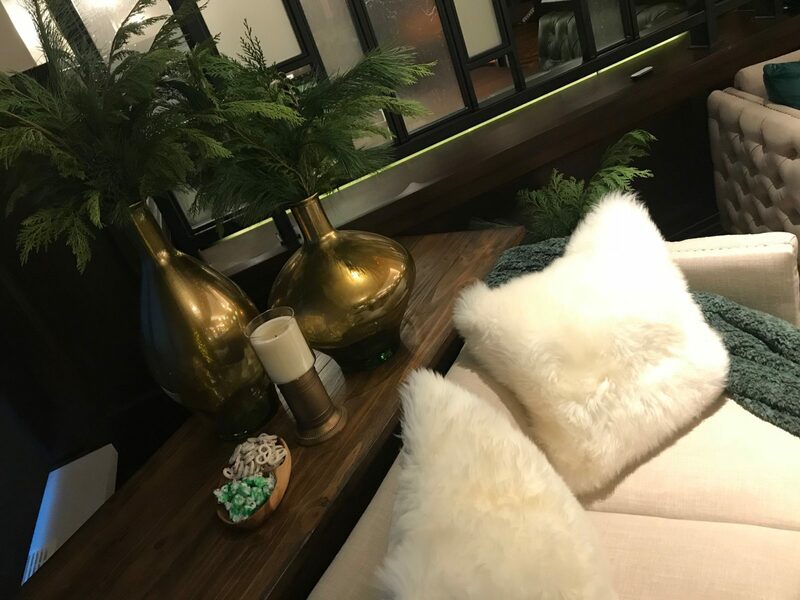 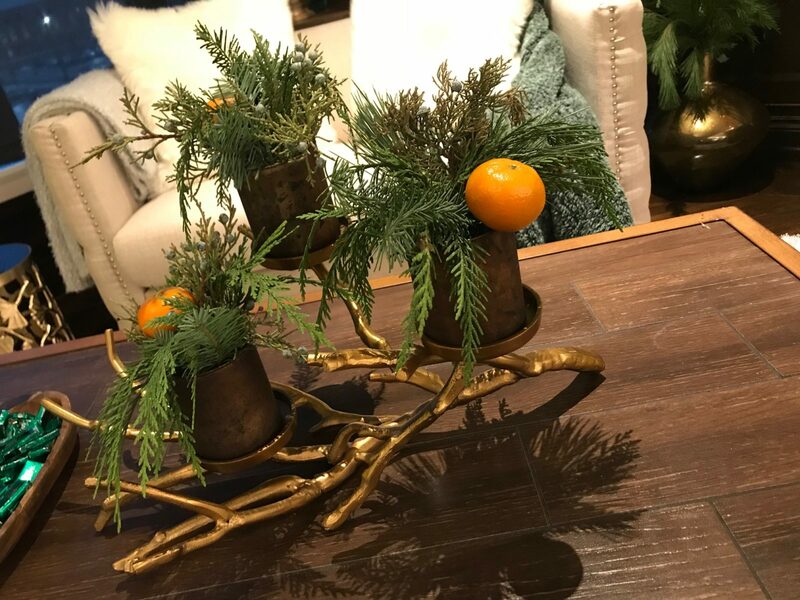 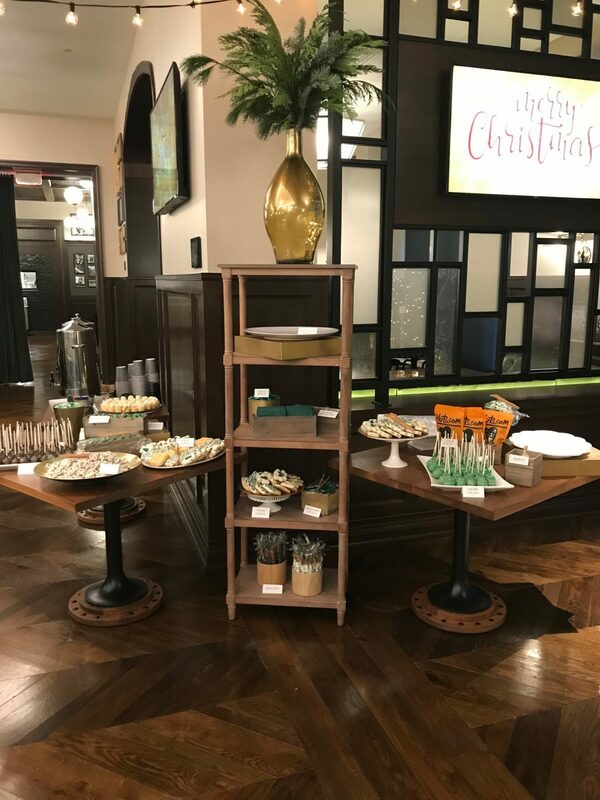 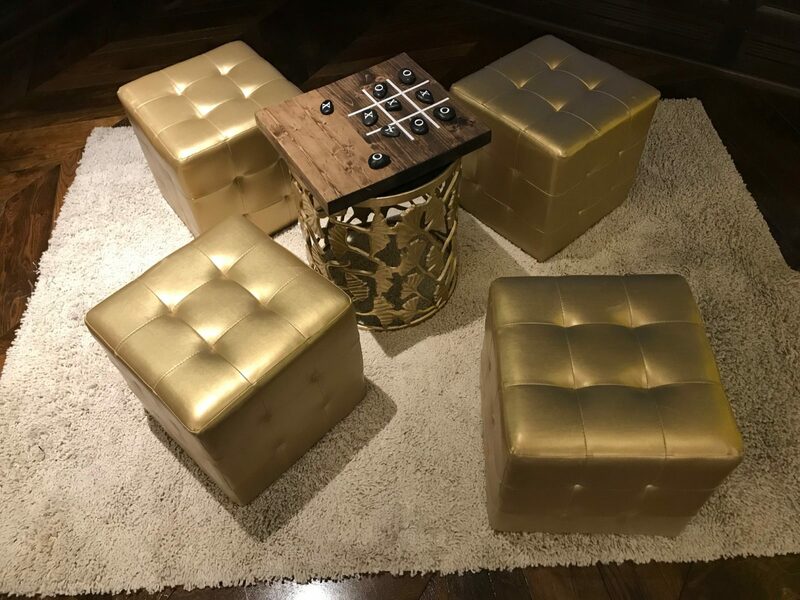 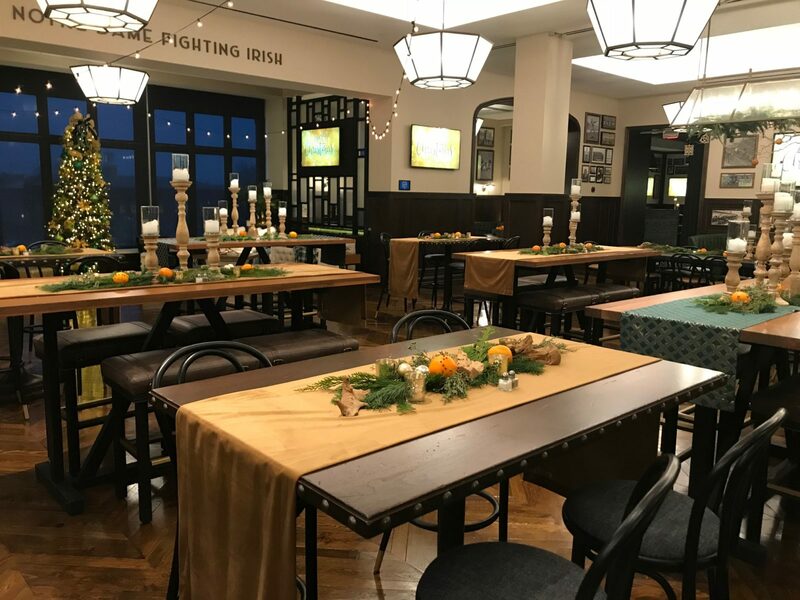 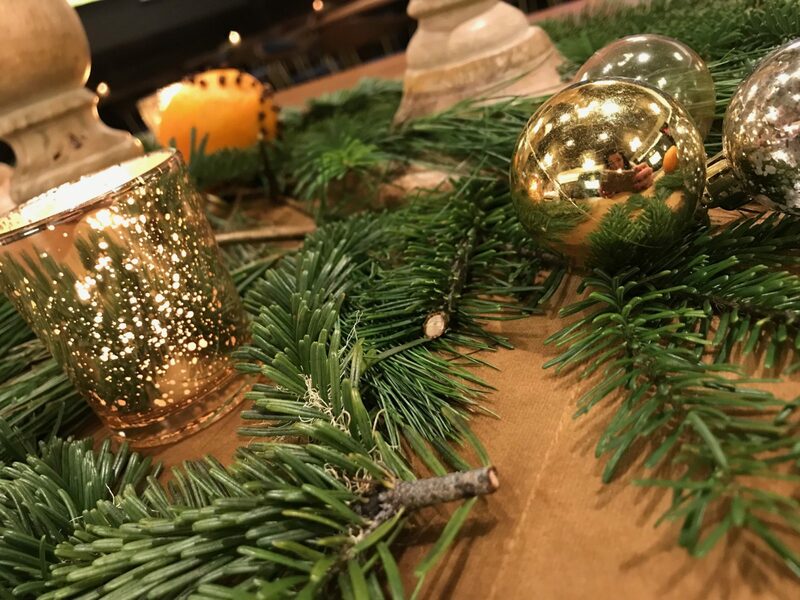 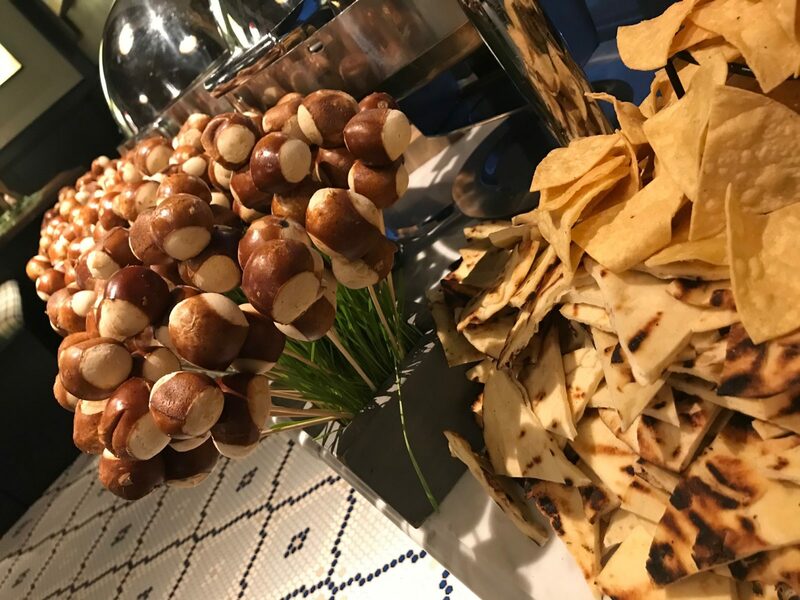 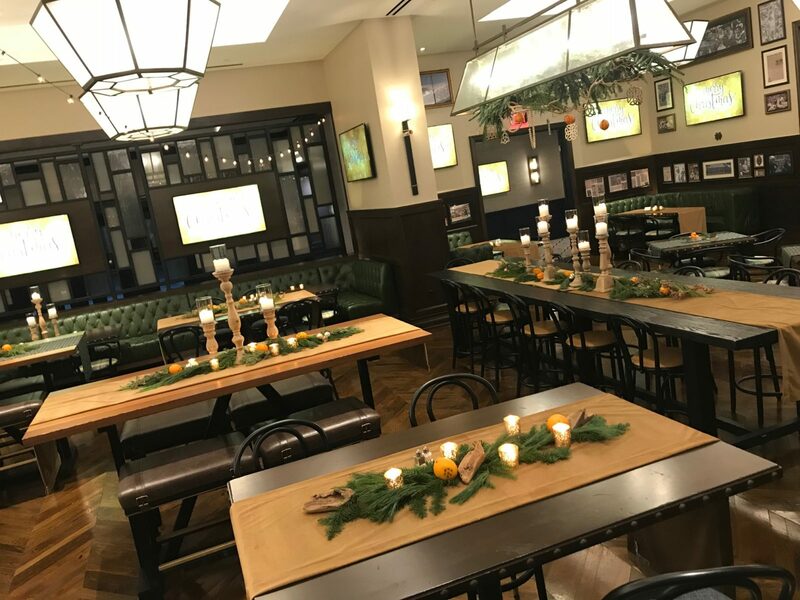 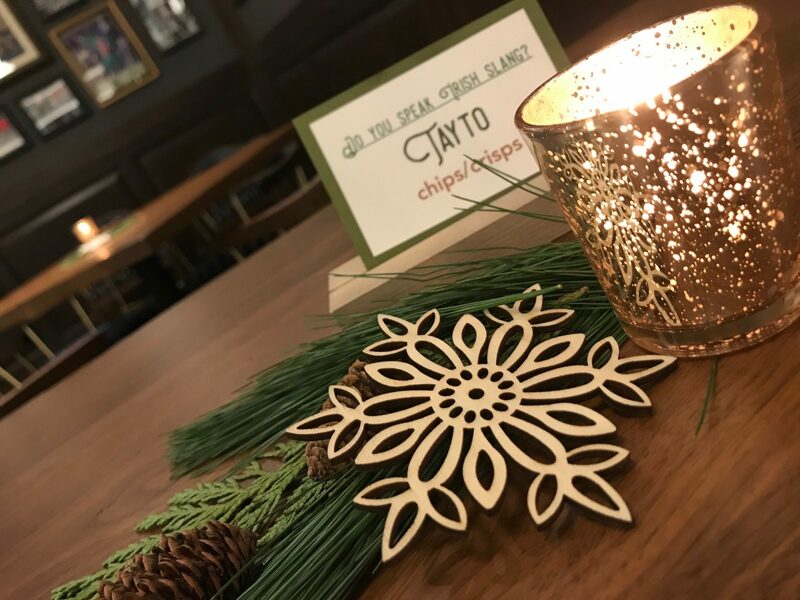 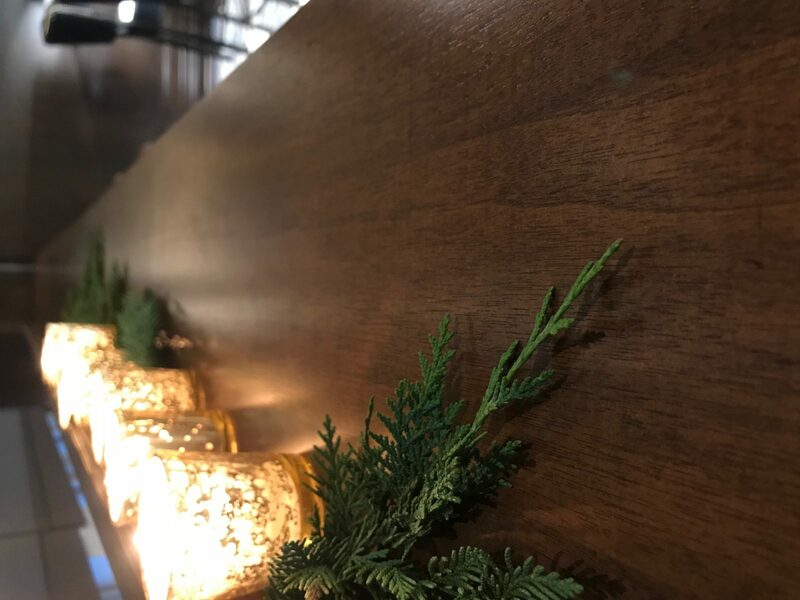 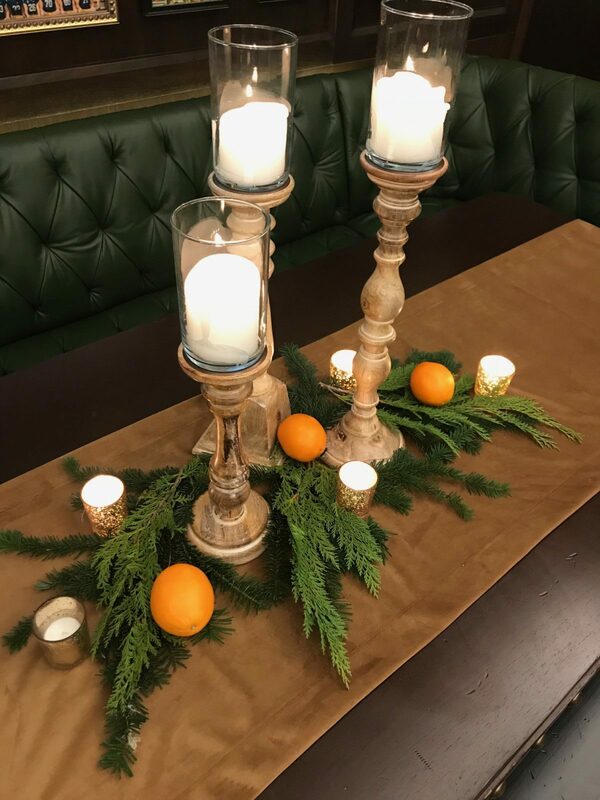 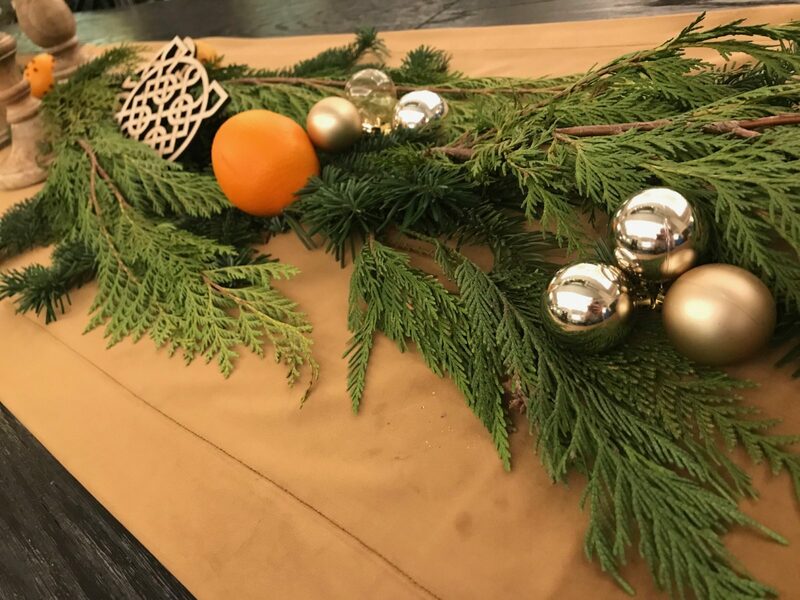 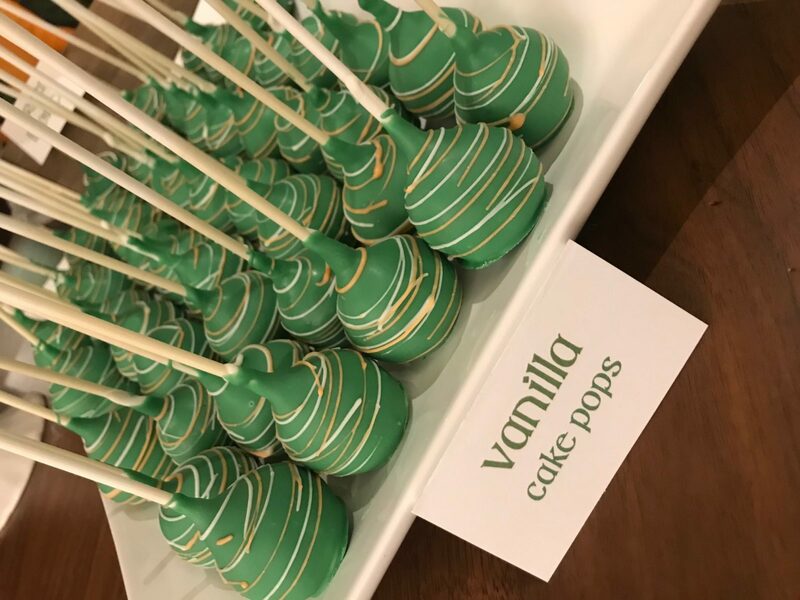 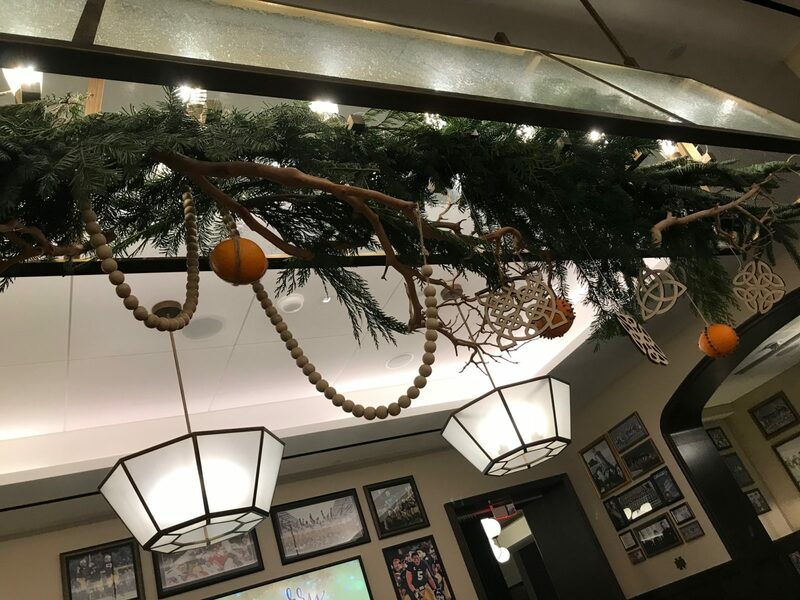 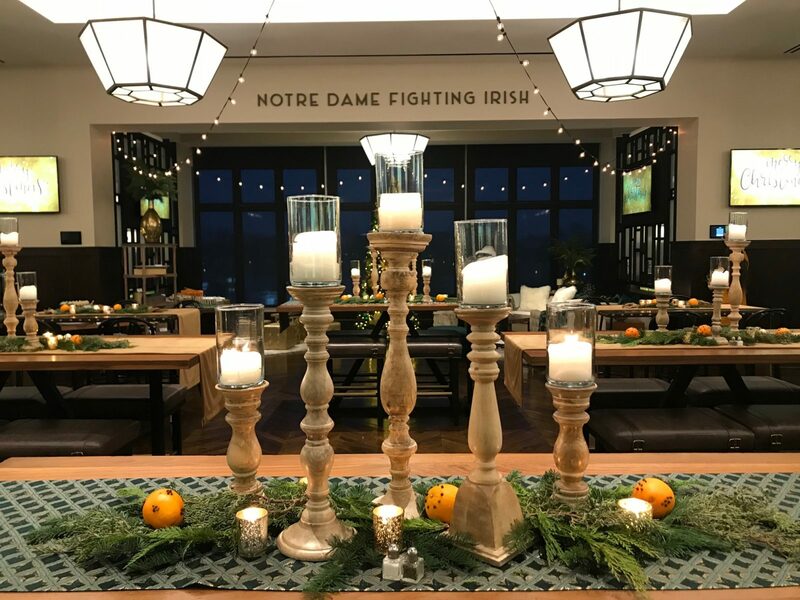 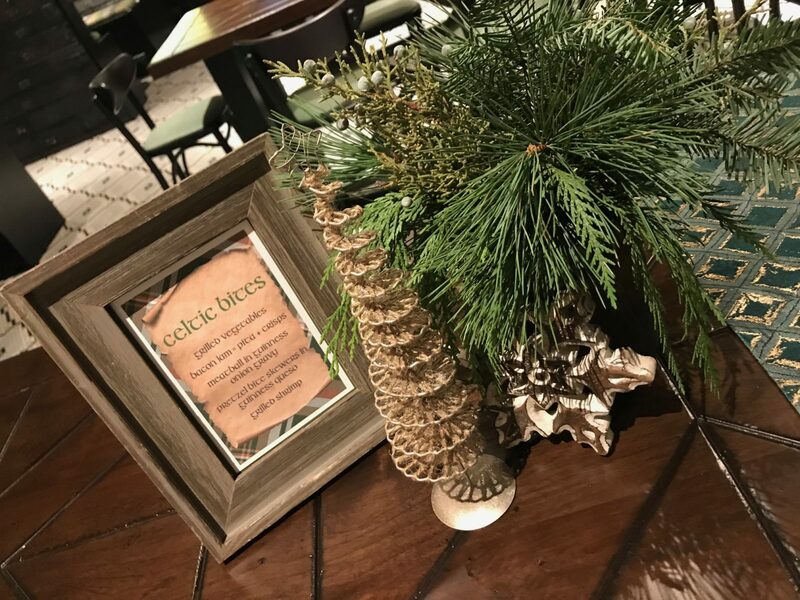 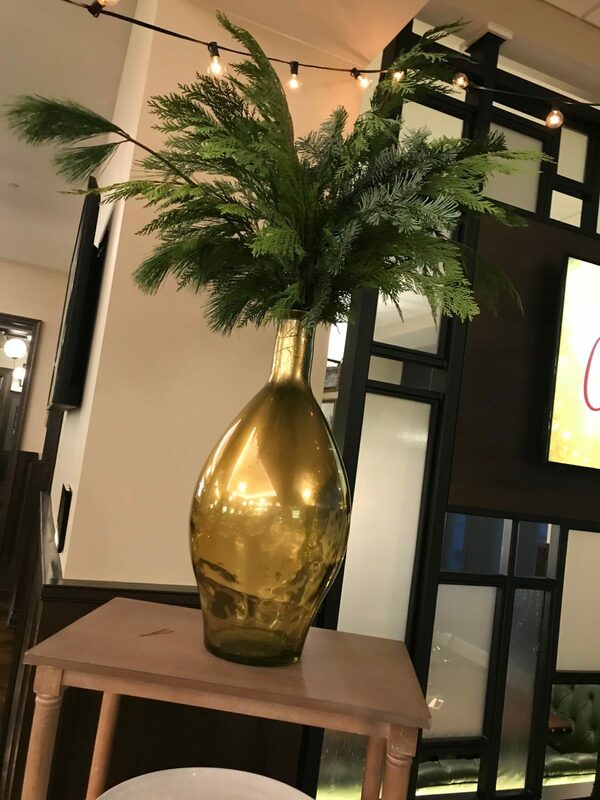 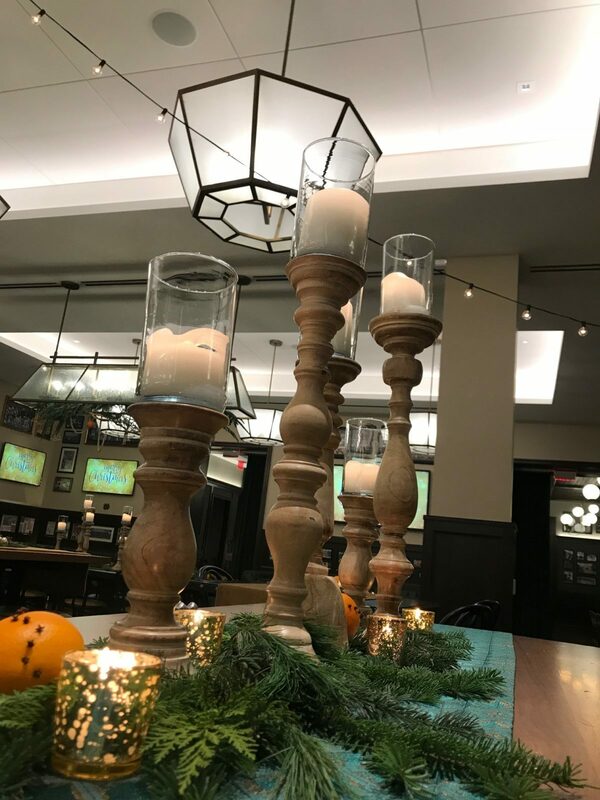 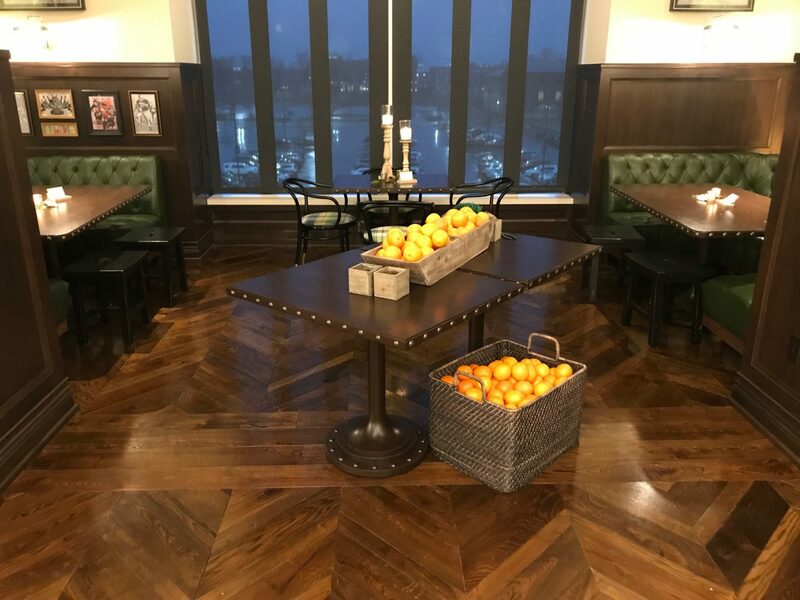 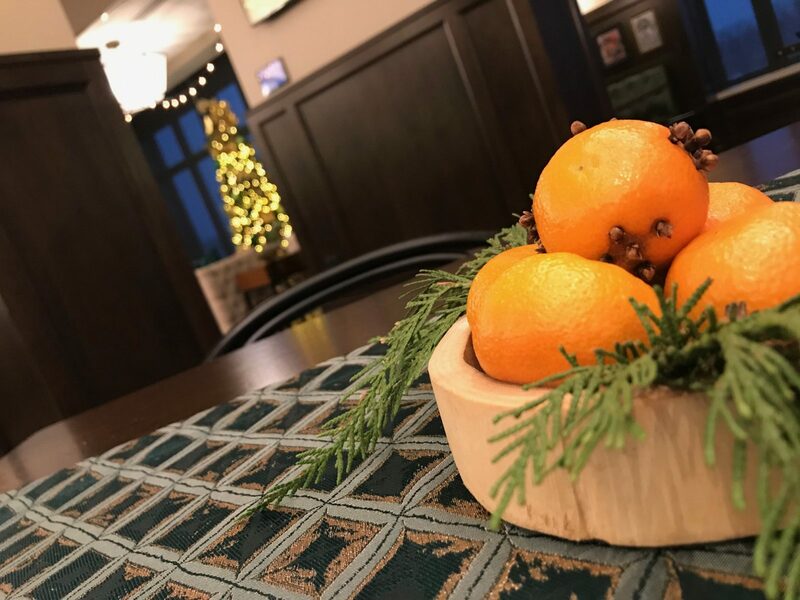 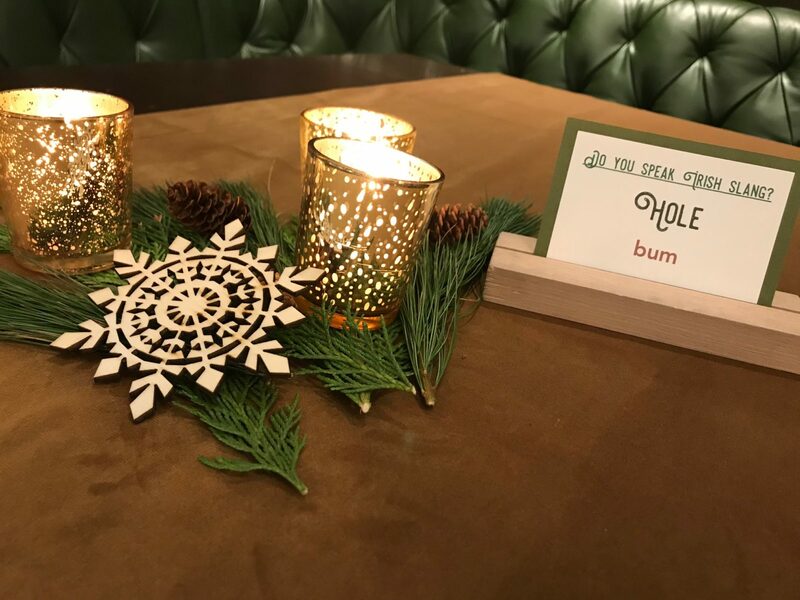 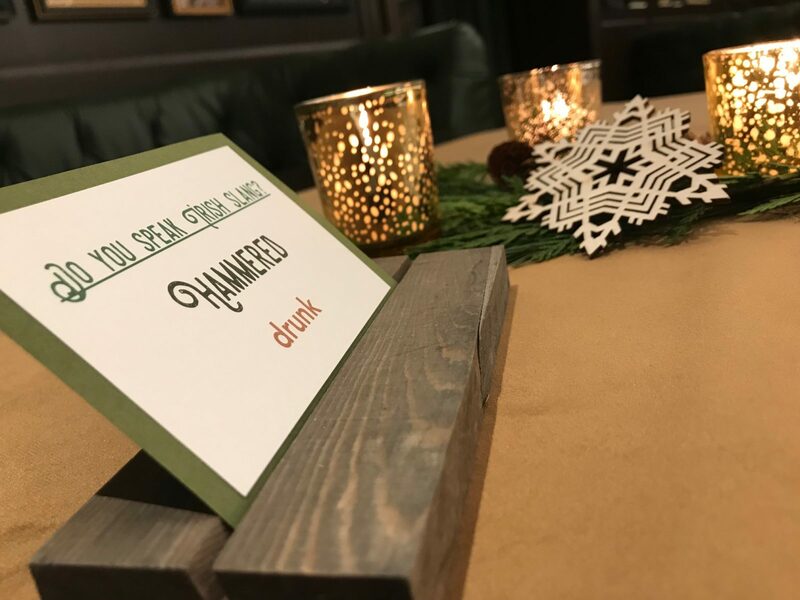 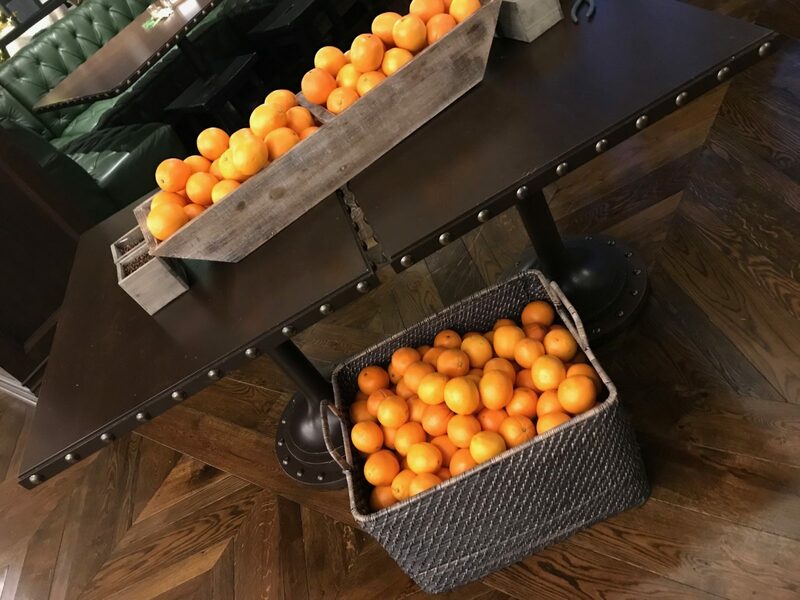 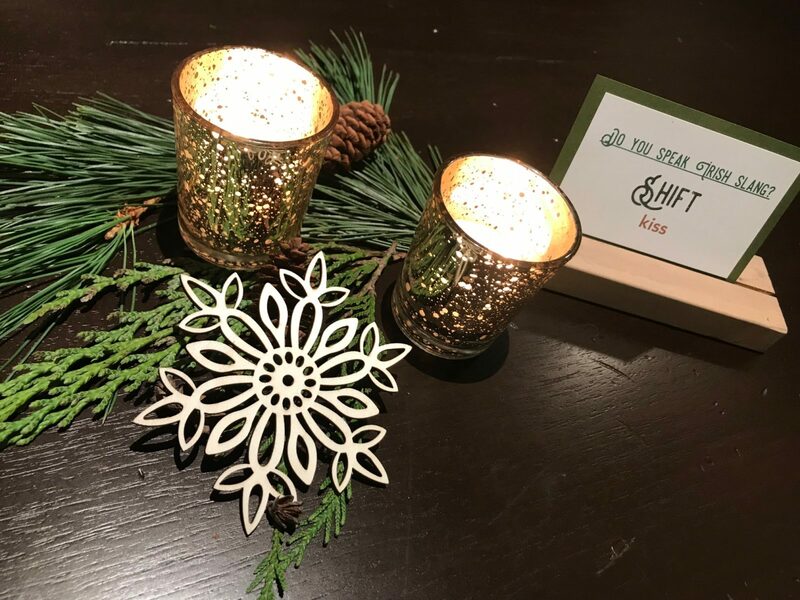 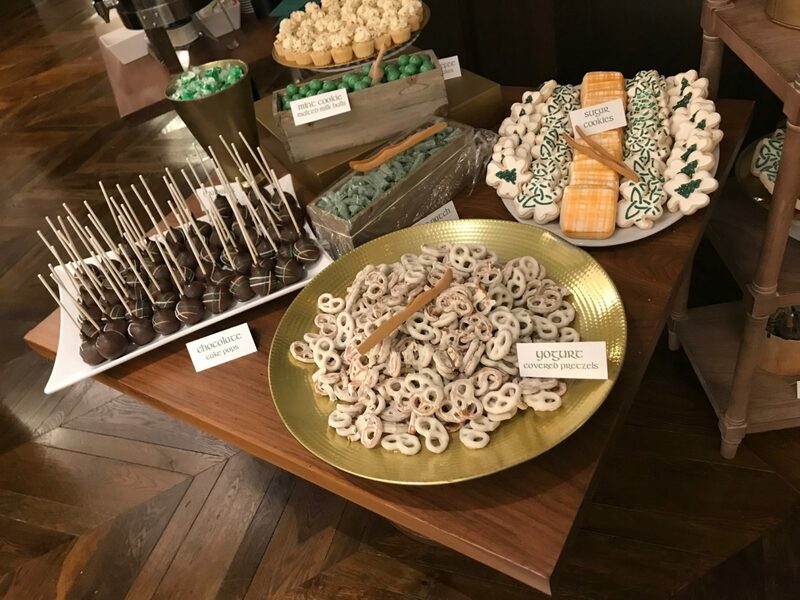 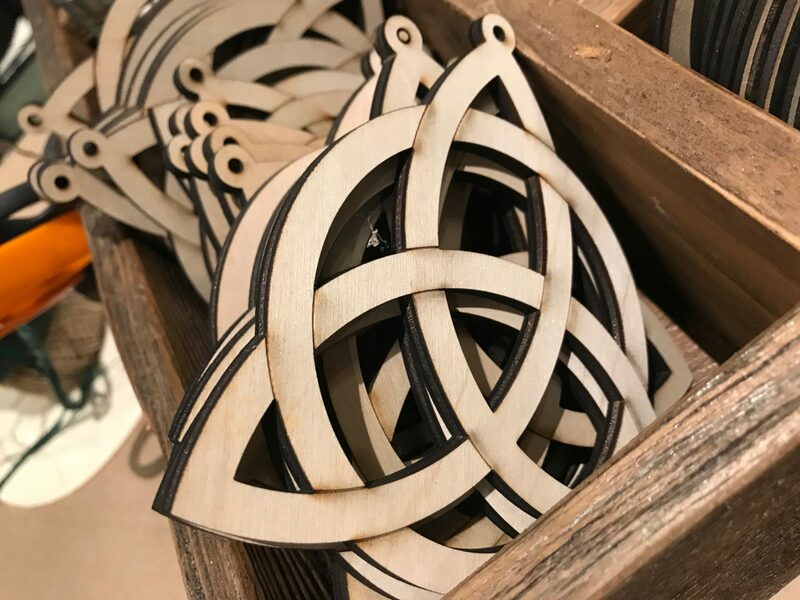 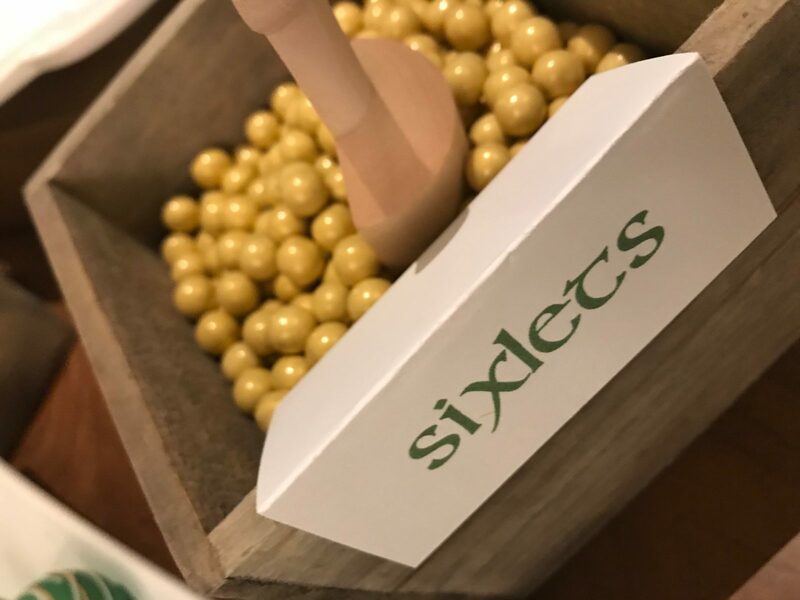 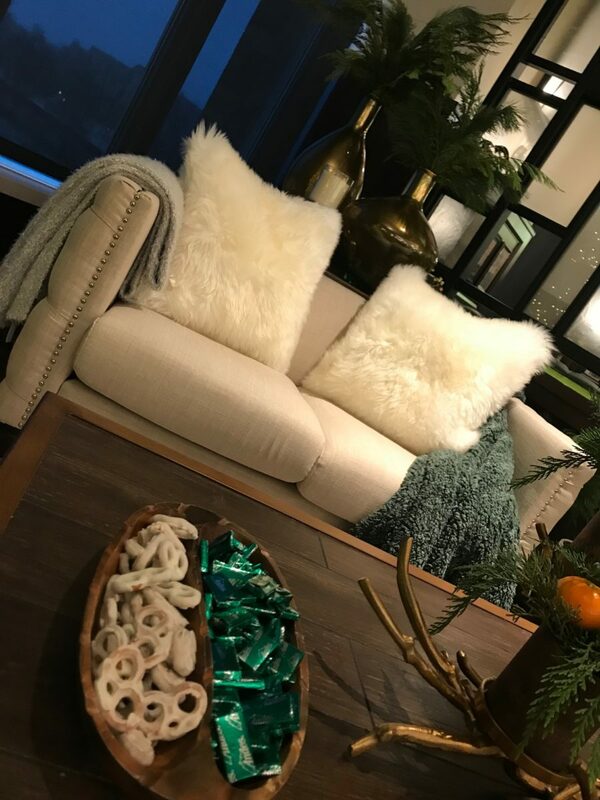 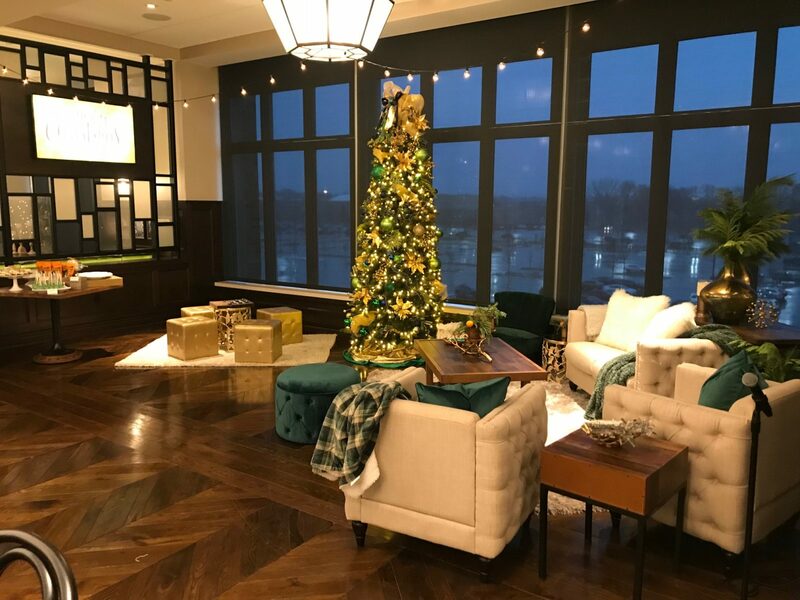 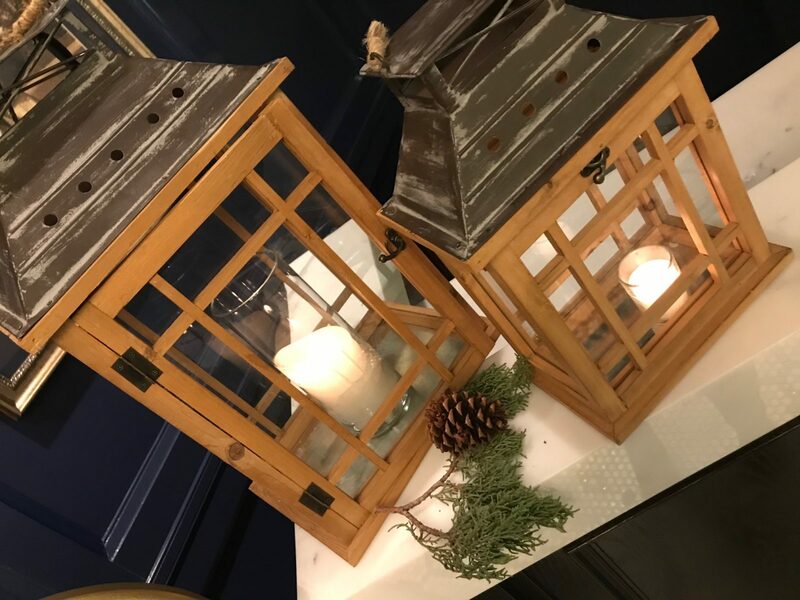 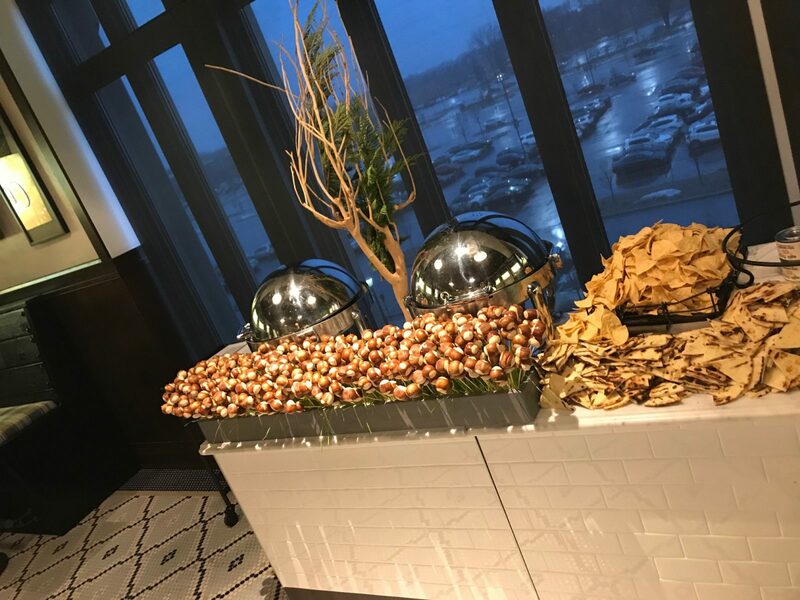 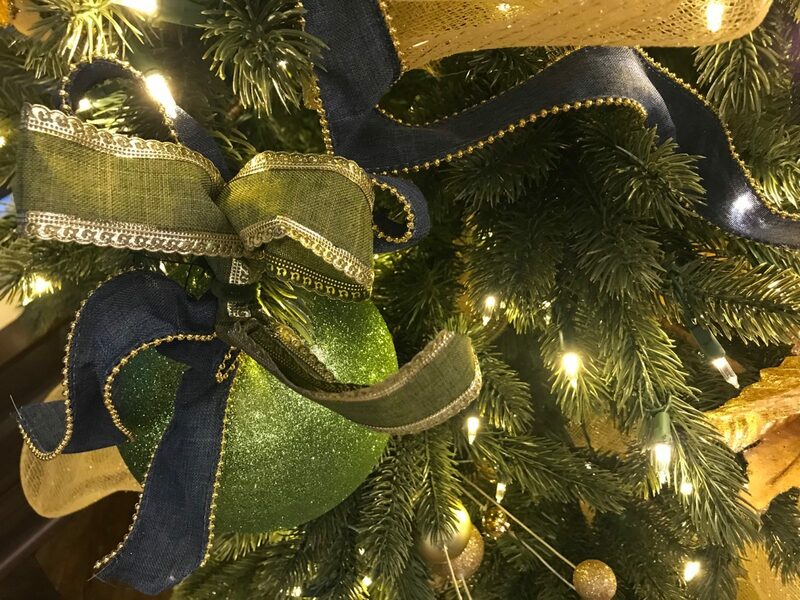 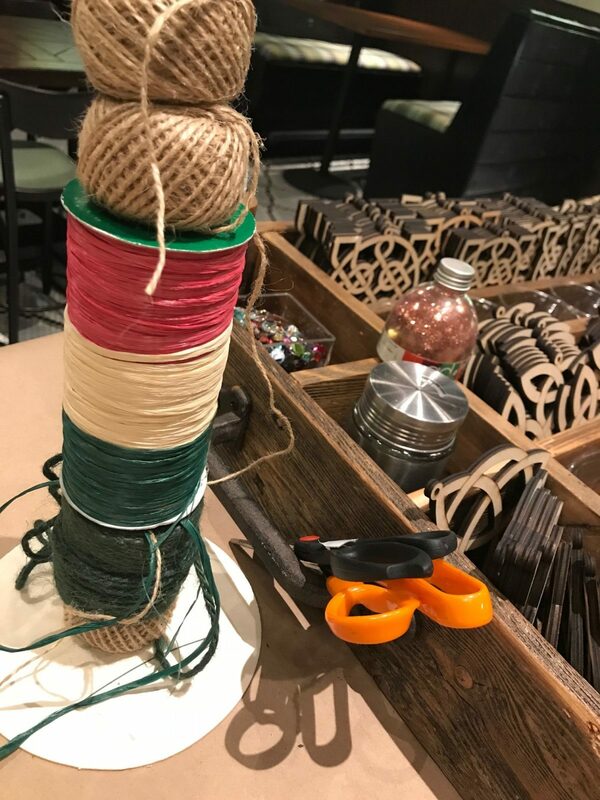 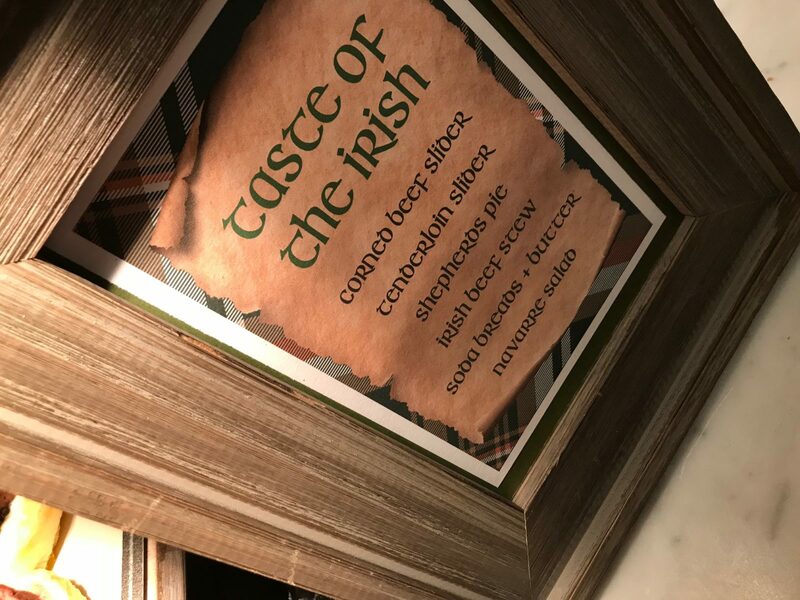 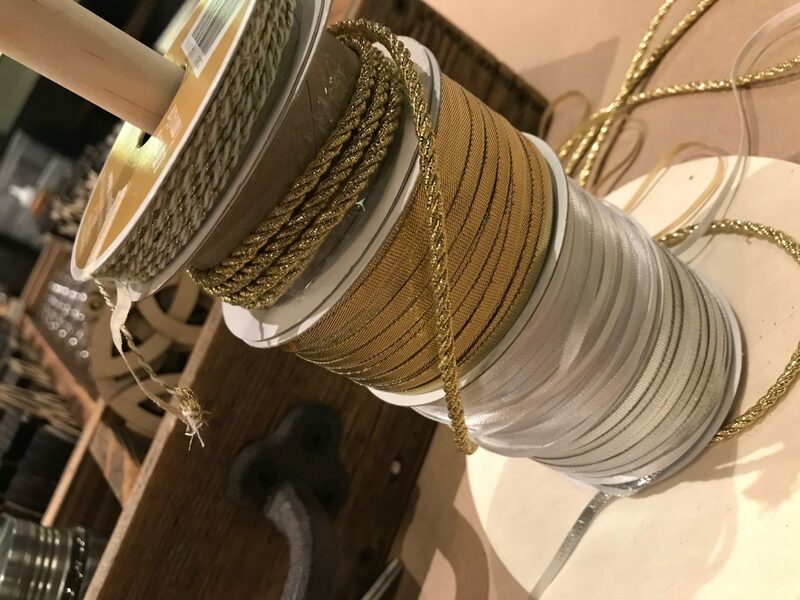 Guests could DIY orange clove pomanders – a traditional decoration in Irish homes at Christmas and decor we incorporated into the design for this party – and Celtic knot work ornaments to personalize and take home. 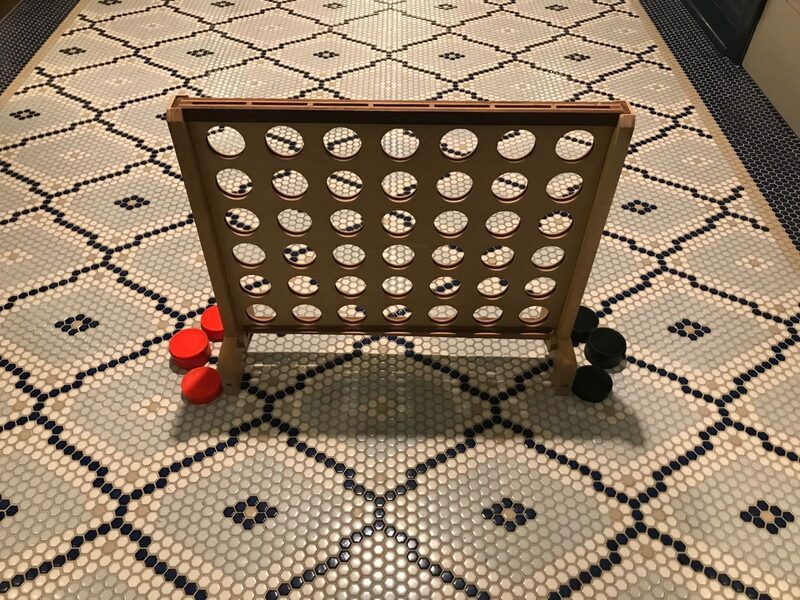 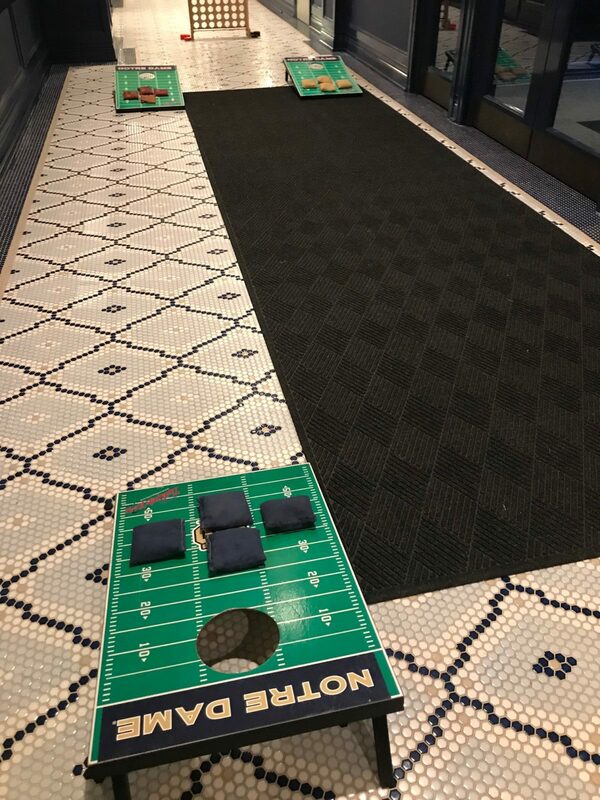 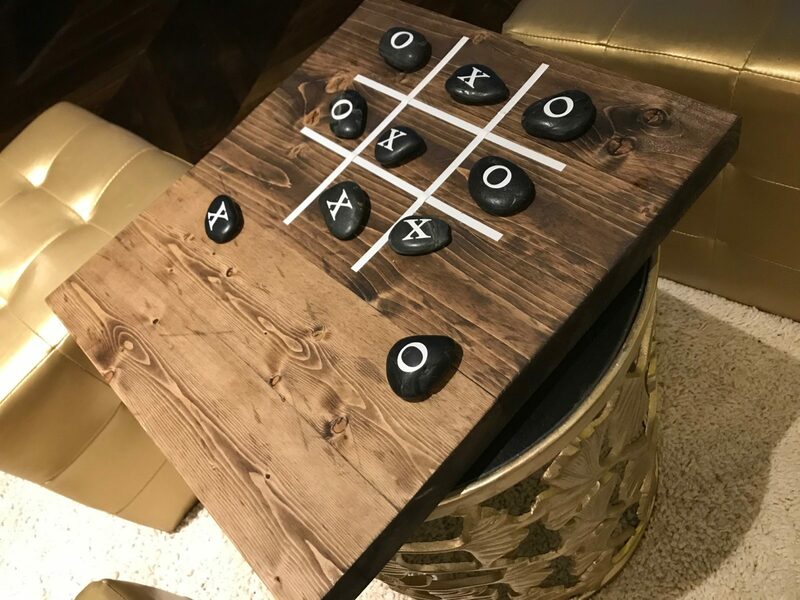 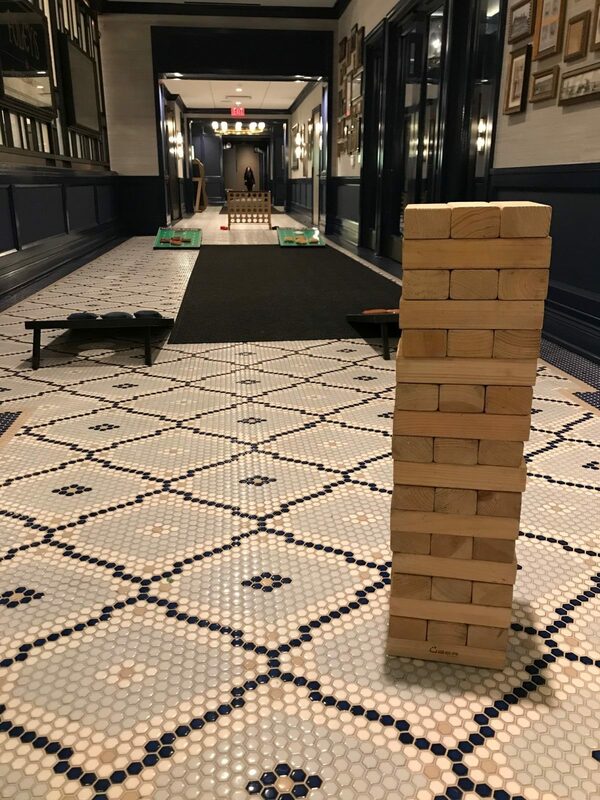 To play up the tailgate theme, we added corn hole boards, giant Jenga and giant Connect 4. 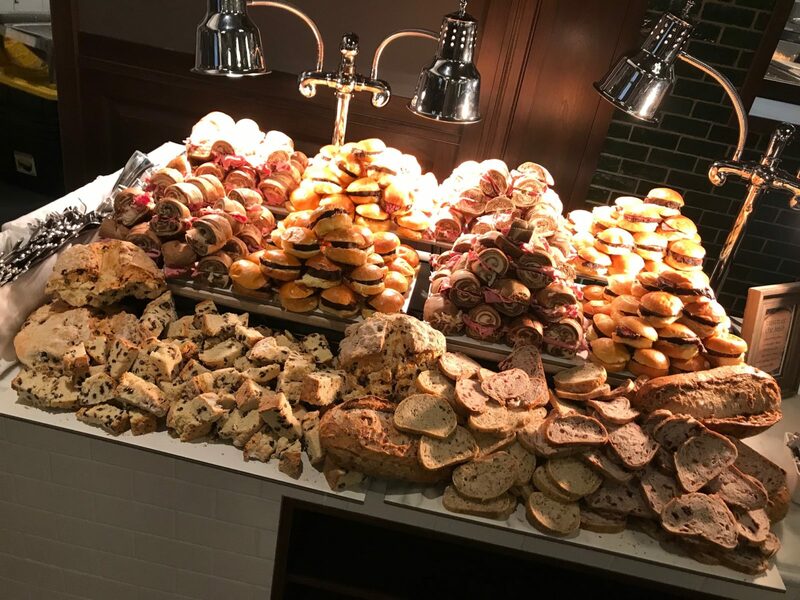 And the food… ah, that’s a whole other bit of awesome. 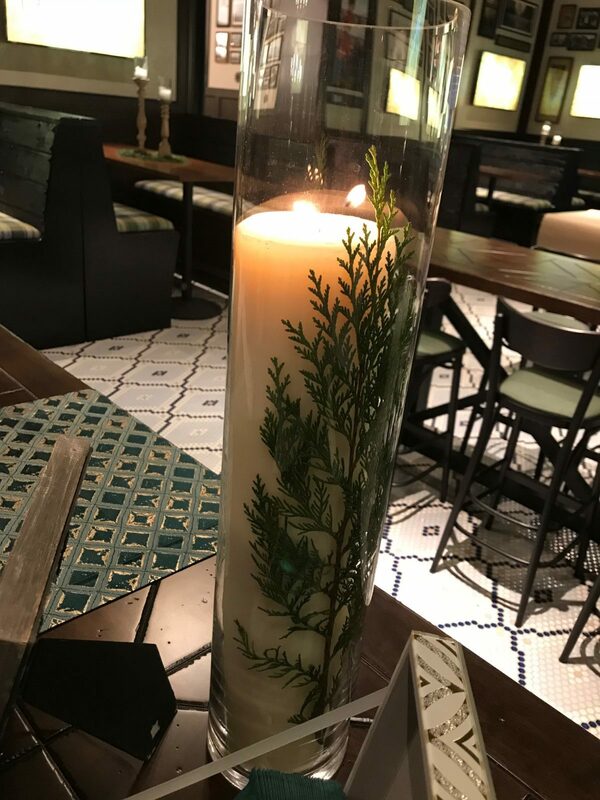 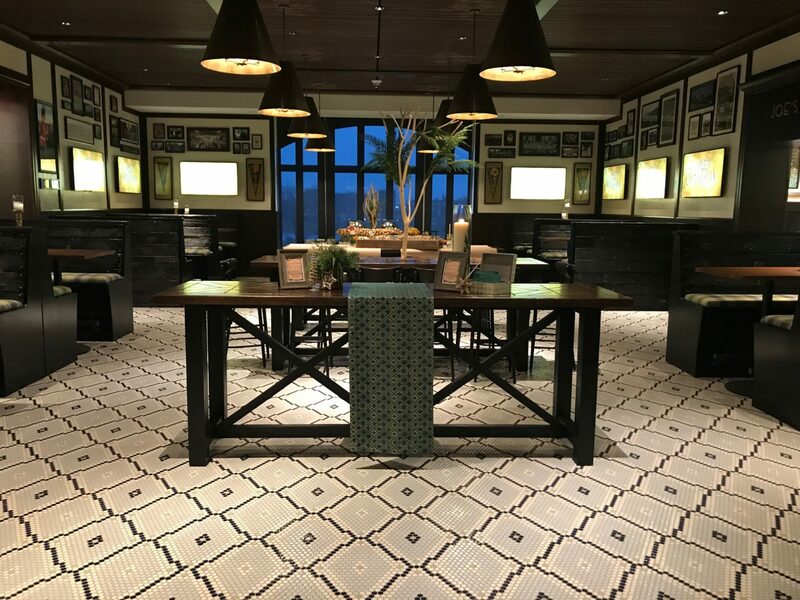 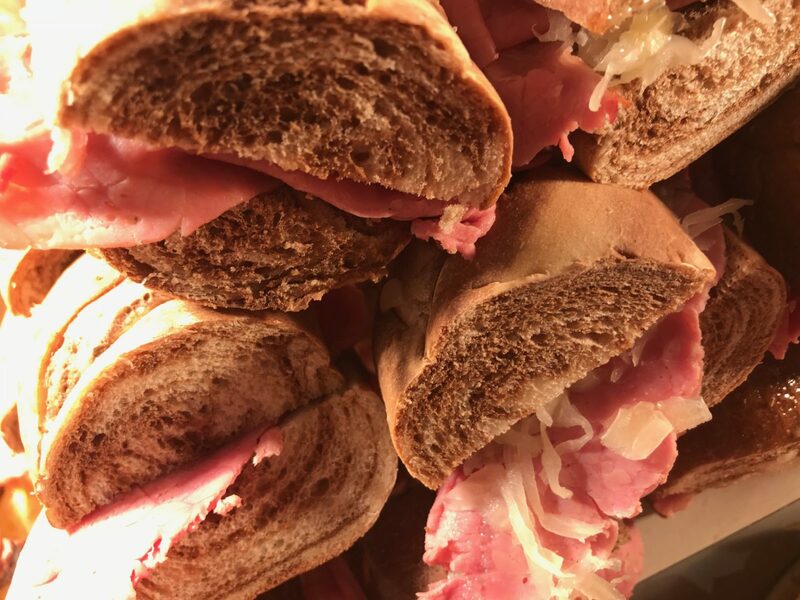 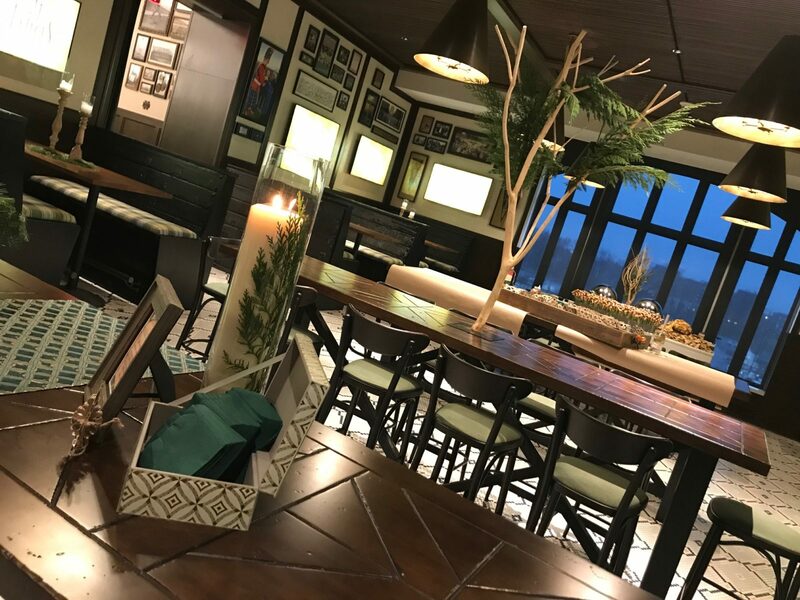 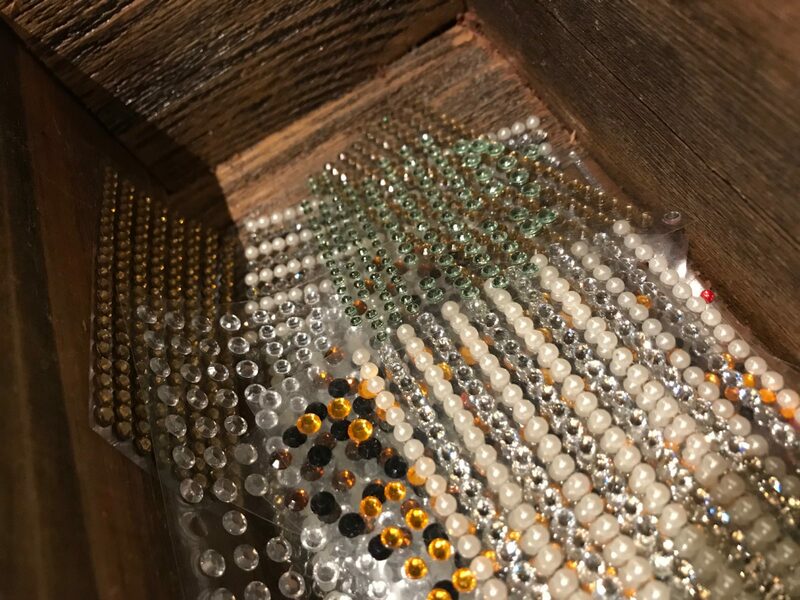 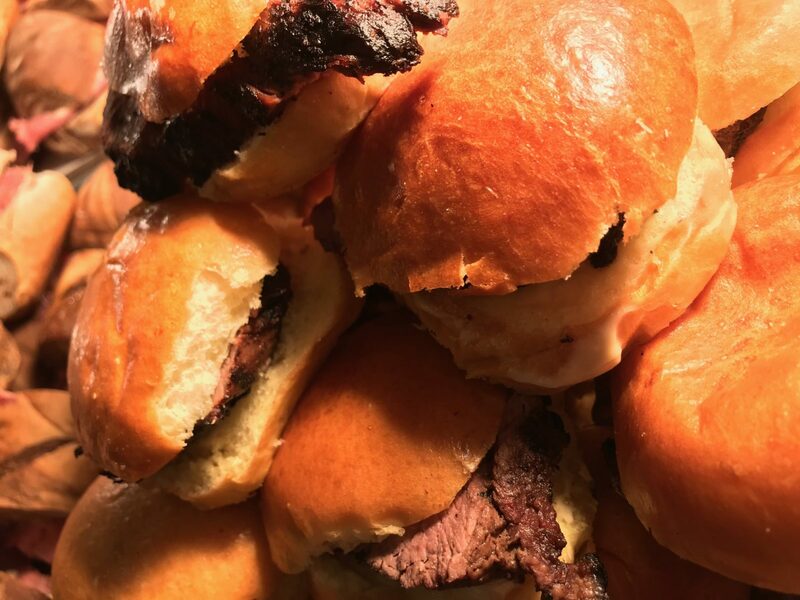 Scroll on for all of it… the ambiance, the lounge, the eats and the experience! 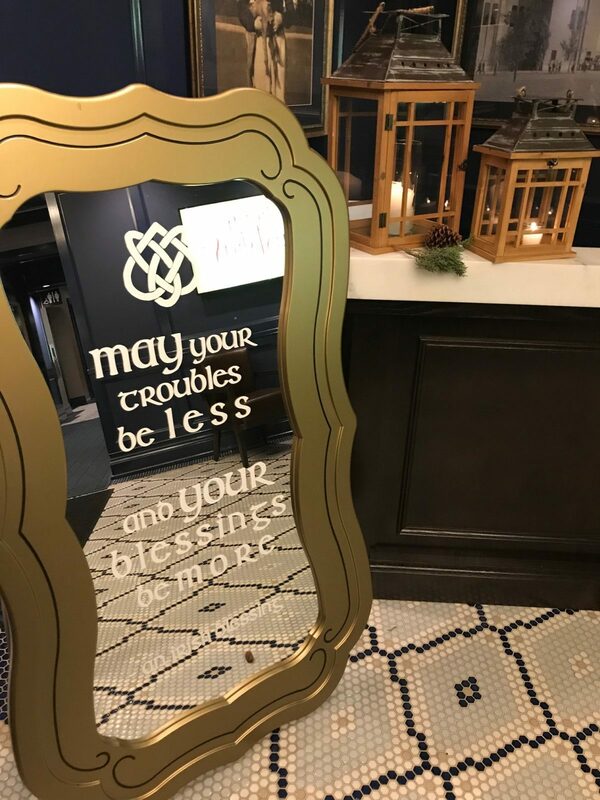 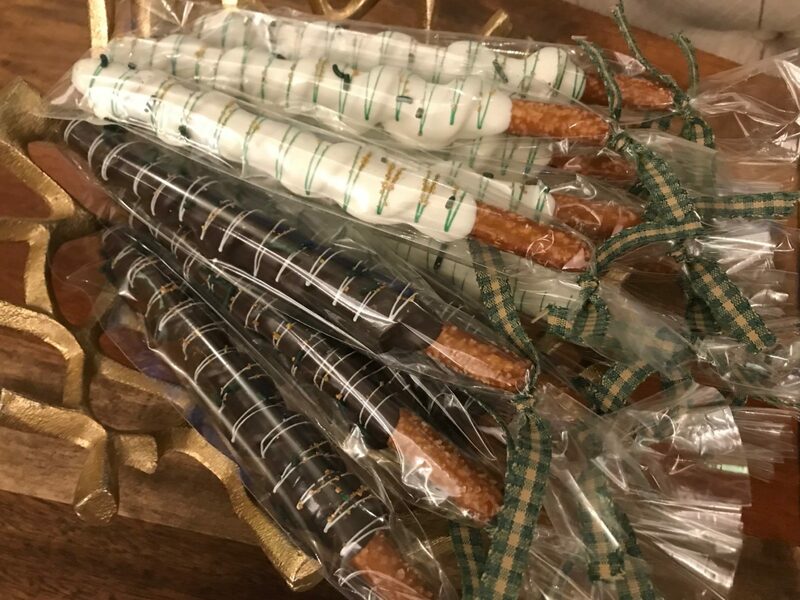 Cookies : Serendipity Baking Co.